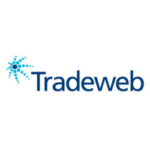 We are seeking a Channel Management Director, looking after the Nordic region, to identify, build and maintain relationships with key influencers in the asset owners and investment consultant market in the EMEA region with programs designed specifically to meet market needs in order to increase the awareness, education and adoption of indexing. Understand competitive landscape including comparing and contrasting S&P Dow Jones Indices with competitor indices in key performance areas. Ability to effectively present and distribute these messages to Asset Owners and investment consultants in order to increase awareness and penetration of indexing and to develop a preference for S&P Dow Jones Indices. Primary contact methods include outreach efforts in order to obtain meetings with target Asset Owners and consultants in order to deliver an index-specific messages requiring in-depth knowledge of S&P Dow Jones Indices to comparable competitor indices. Record and report results frequently. Develop overall channel management strategy based on market research and market intelligence gained through interactions with Asset Owners and investment consultants. Build programs to deliver education, working with internal teams and external parties (e.g. trade associations etc.) to execute on the plan; monthly team updates, semi-annual updates to the operating committee and annual reviews required. Generate and maintain relationships, with a target on asset owners, consultants actively utilizing index based products through existing relationships, product provider sales distribution teams and networking to participate in S&P Dow Indices education programs. Assist in the coordination of events to connect asset owners and consultants with S&P Dow Jones Indices subject matter experts. 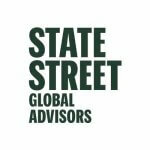 Provide general support for S&P Dow Jones staff wanting to leverage channel education opportunities in EMEA; evaluate other education opportunities. 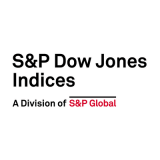 Represent S&P Dow Jones in events and conferences in EMEA as they pertain to the Asset Owner channel, including vetting and selecting conference opportunities, identifying speaking opportunities and topics and finding appropriate speakers within S&P Dow Jones Indices. Ability to collaborate and achieve buy-in with key internal stakeholders such as product management, sales and channel colleagues to communicate priorities, coordinate activities and provide direction and timelines for content production to support campaigns. Identify themes and ideas trending in EMEA for Asset Owners and investment consultants and coordinate with Index Investment Strategy, Product Management, and Research & Design teams to develop research and content addressing those topics. Proven industry experience in institutional sales and/or investment consulting sales and/or wholesaling ETFs and Mutual Funds. Knowledge of the Asset Owner investment process, decision making process, and competitive landscape. Demonstrated ability to connect with Asset Owners and investment consultants in EMEA resulting in travel of up to 50% of the time of any working month (as much as 10 working days out of every 20 working days in a month), while demonstrating ability to work effectively from the road including monitoring email, phone, and submit timely reports. Knowledge of EMEA institutional distribution networks and influence forums (publications, events, conferences). Effective client communication skills in conversational speech, writing, and public speaking; and a personable attitude required to get things done within a matrix structure. Skilled in combining longer-term strategic thinking with a hands-on, proactive approach to achieve nearer-term results. Breadth of vision is required, as opposed to narrow depth in one area of the market.